CitizenShipper’s Stacked Shipments Tool is now available for drivers who desire to combine shipments. CitizenShipper drivers now have a way to combine different shipments with ease. 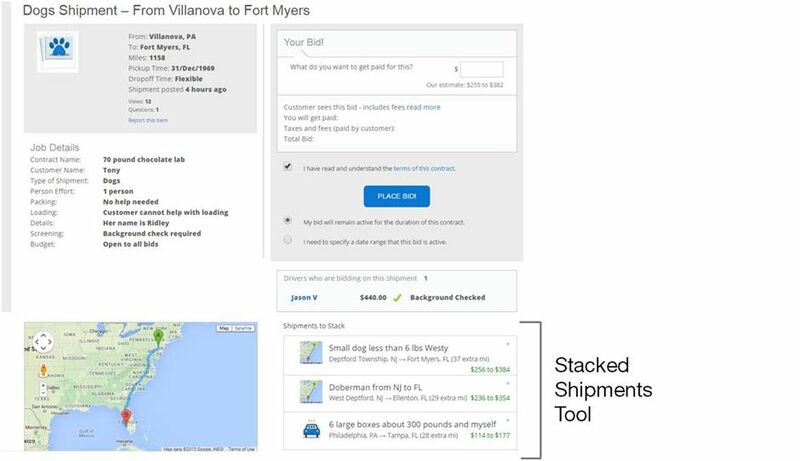 The online shipping site has launched its Shipment Stacking Tool, which allows drivers to bid on other loads near the location of the item they are currently viewing. Located at the bottom right of the listing page, the tool shows details of up to six nearby shipments, as well as estimates of extra cash that can be earned and additional miles added to the trip. On desktop computers, simply hovering over a suggested stacked shipment will reveal that route’s information on the listing page map. Suggested shipments can be removed from a driver’s feed by clicking the ‘x’ at the top right of the frame. This application is an effort to put more earning power in drivers’ hands, said CitizenShipper CEO Richard Obousy. Click here to learn more about the Citizenshipper Shipment Stacking Tool and other user enhancements. This entry was posted in 24/7 shipping, Agricultural, Apartment Moves, appliances, bid on shipments, Boat Shippping, Cheap Shipping, Collaborative Consumption, Courier Jobs, find flatbed freight, flatbed brokers, flatbed freight carriers, flatbed freight load board, flatbed loads, furniture shipping, Green Shipping, hot shot delivery, hot shot loads, hotshot, Household Items, In The News, Load Boards, Motorbikes, New Features, Pets, Trucking Jobs, Uncategorized, Vehicle Shipping and tagged cheap online shipping, CitizenShipper, CitizenShipper.com, combining online shipments, combining shipment, micro logistics, online shipping. Bookmark the permalink.